This morning, Skylum announced Luminar Flex, a new app that offers unique and powerful editing features. 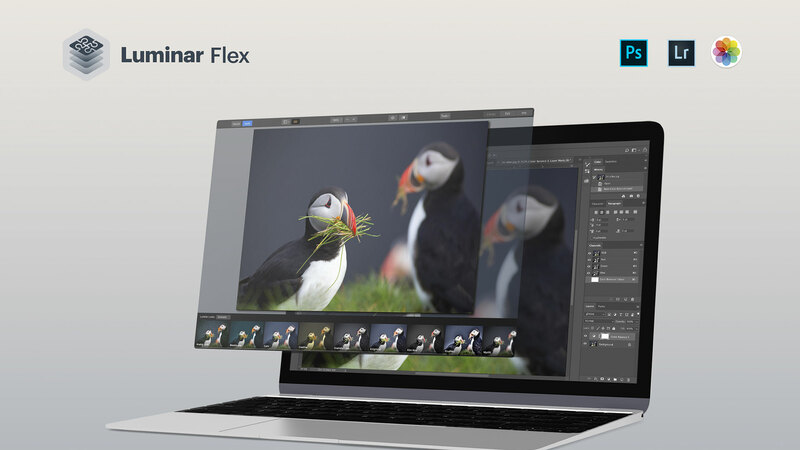 Luminar Flex features all the great editing features found in Luminar 3, but allows users to tie in to their existing photo editing and management software. Luminar’s AI-powered editing technologies — such as Accent AI, AI Sky Enhancer, Sun Rays, Foliage Enhancer and LUT Mapping — are all found in Luminar Flex. It fits into almost every photographer’s workflow, integrating into third-party tools like Photoshop, Lightroom and Photos for Mac. Luminar Flex offers users the ability to use their edits as Smart Objects in Photoshop and tie in natively to Lightroom’s plugin system and Photo for Mac’s extensions. Skylum has noted that the standalone Luminar 3 will drop plugin support in a future version, making Luminar Flex the go-to application for those who uses programs like Lightroom, Photoshop and Photos for Mac. Luminar Flex starts shipping today, April 4, and retails for $59. Users of Luminar 3 and Luminar 2018 will be offered free upgrades to Luminar Flex. To learn more, visit skylum.com. Luminar Flex seems to offer nothing over Luminar 3. The only difference is that the digital asset manager is stripped out of Flex. Am I missing something? It’s a more lightweight app because of the drop of the Library tools. Skylum has also noted that the standalone Luminar 3 app will be dropping the plugins workflow in a future version, and will only be available in Luminar Flex.